It’s about having the internet as a space for girls, and it also helps to create a new type of imagery, because we decide what to put out there. And it’s different from how we are being viewed in the world, and what we are forced to see on a daily basis with the images that are out there. So the more girls create, and expose their work and themselves, it’ll only help us all, and help spread the message. 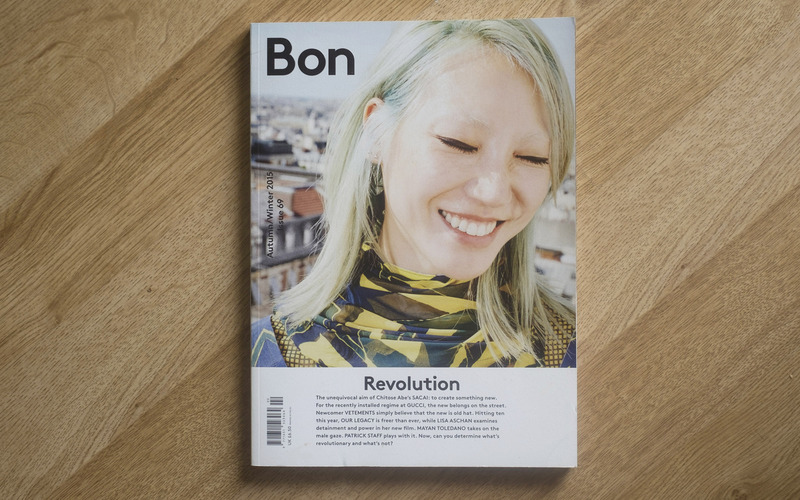 Bon Magazine A/W 2015 on the theme of Revolution, featuring Gucci, Vetements, Our Legacy, Mayan Toledano, Patrick Staff and Lisa Aschan.